This game has been in my Steam library for ages. I don’t actually remember where I got it from, but I guess it was part of a Humble Bundle or a similar bundle. Until yesterday I never played the game. Even though the game has been praised by many people (which doesn’t happen that often with games having Simulator in their titles) I didn’t even touch it with a ten foot pole. I don’t know what changed my mind. Perhaps it was the Youtube video I stumbled upon the night before in which two people talked about Leviathan Wakes, the first book of the Expanse series. 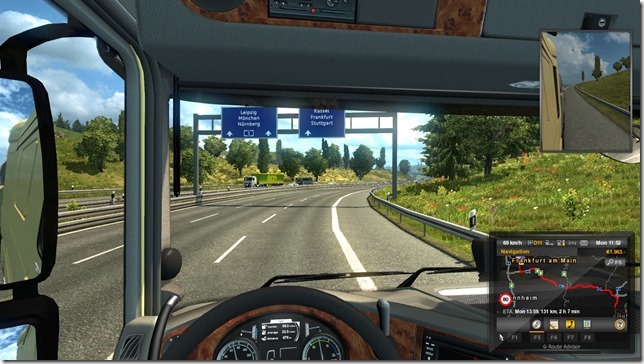 The audio was accompanied by footage from Euro Truck Simulator 2. For some reason the video felt extremely soothing. So I decided to give the game a try. Lo and behold, I was surprised how fun it can be driving a large truck on European highways. The developer actually made a good job to scale the world in such a way that it feels like the real deal even though you can drive from Frankfurt to Cologne in under 10 minutes. There’s not too much traffic, but just enough to not let you drive in the middle of the road all the time. Steering with the keyboard proved quite problematic, so I changed to my Steam Controller, which worked great. There’s even an official setup for the game provided by the developers. So what is the game actually about? It’s first and foremost about trucking. You start out as a professional truck driver with no truck of their own. You can do driving jobs for other companies first until you make enough money to buy your own truck. Or you can take the quick way and loan the money from the bank. Of course you can customize the truck to your heart’s content. Some of the modifications are available at higher levels only (I’ll talk about levels in a second). After finishing a job you not only get paid, but you also get experience based on your performance. If you have gained enough XP to level your character up, you can raise certain skills that help you get more money or drive more economically. So there are even some minor RPG elements in there. 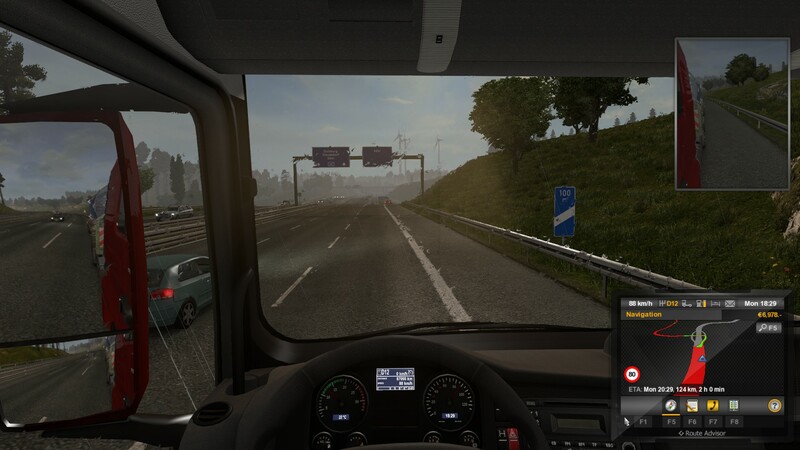 Later in the game you can hire more drivers for you company and buy more trucks, even hire managers that do all the pesky micromanagement for you, while you drive around on Europe’s highways. 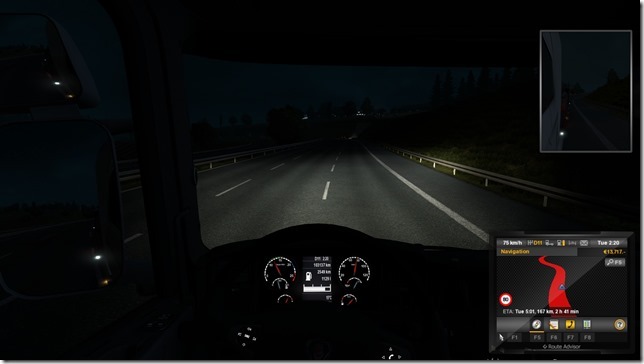 What really surprised me was the attention to detail in Euro Truck Simulator 2. I already mentioned modifications you can make to your truck. These are not only cosmetic in nature but you can also improve functional parts. 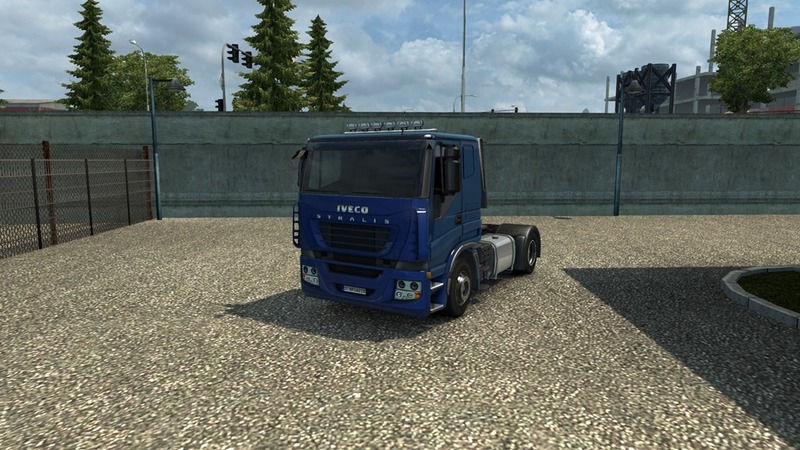 Each truck has a different feel, the interiors are very detailed and it’s even possible to listen to your own MP3s or internet radio stream directly from within the game. There’s a lot I haven’t explored yet in ETS2. At the monent I am also using the simplest driving mode in which you don’t need to shift gears at all. In my current configuration, the right trigger on my controller is the gas pedal, while the left one is the brake pedal. 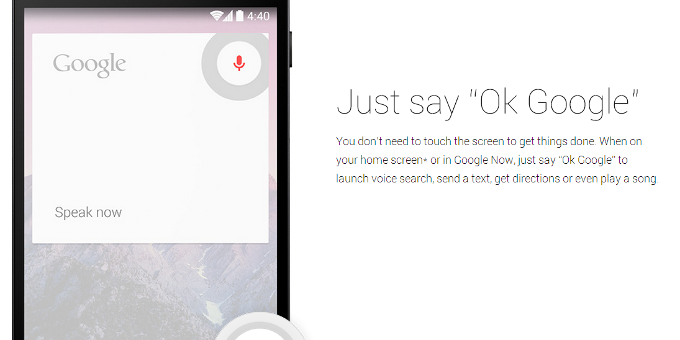 If you want the real deal, you can of course choose from different, increasingly realistic settings. Usually I am no fan of this kind of games, but ETS2 definitely struck a nerve. If you got interested in Euro Truck Simulator 2 yourself, I recommend checking out some gameplay videos first. 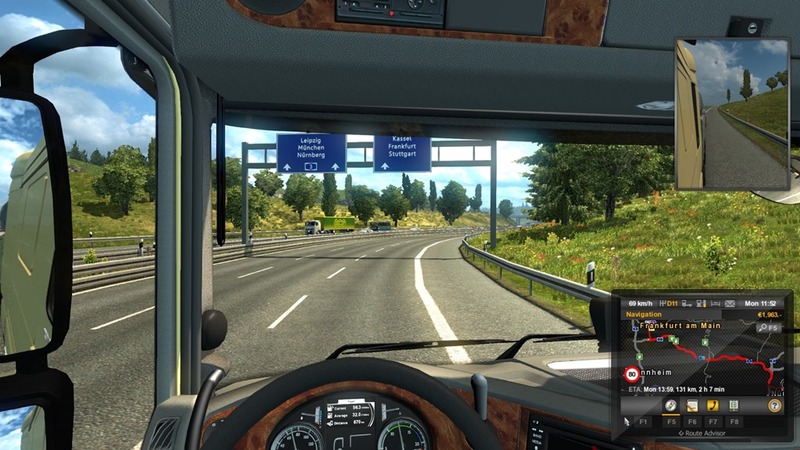 You can get ETS2 for €19.99 or your regional equivalent on Steam. Sometimes things can be much easier than you think. 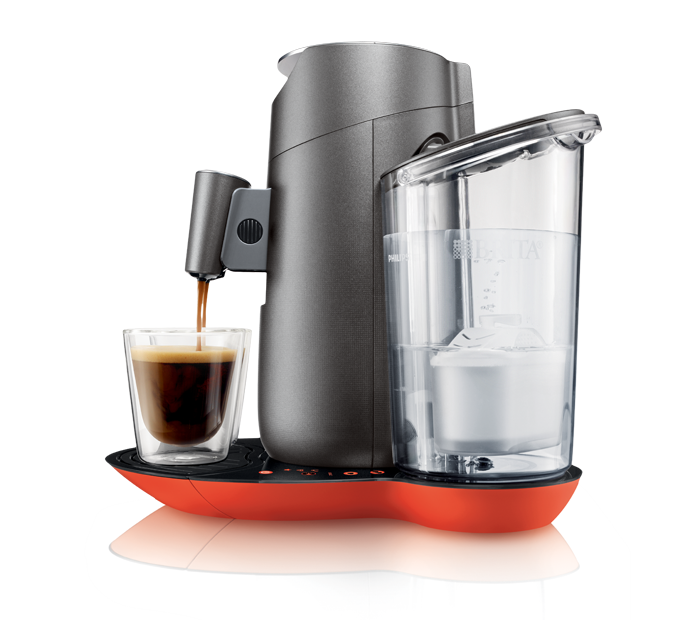 Recently I noticed that my Senseo coffee machine started having issues. The coffee was not as hot as it used too and I also had the impression that the cups weren’t as full as they should be. At first I descaled the machine. This didn’t work. In fact things even got worse. The next time I tried to brew coffee, there was almost no water coming out of the machine and the noises it made were horrifying! I already saw myself having to buy a new coffee machine again. But there was a pretty easy solution to the problem. 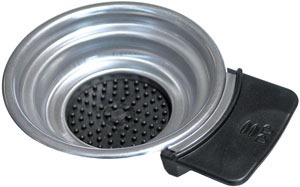 The coffee pod (or pad as they are known in some languages) holder has a small sieve in it that tends to clog. Over time coffee residues and hard water deposits clog the sieve, so less and less water comes through. For some reason it never occured to me to regularly clean the pod holder. But after realizing that it was probably the culprit, I used descaling agent and boiling hot water to thoroughly clean the pod holder. Lo and behold, after that procedure my coffee maker worked as if it was new! If you own a Senseo machine yourself, make sure you regularly clean the pod holders. I am sure a lot of Senseo owners threw their fully working machines into the trash just because these nastly little sieves in the pod holders were clogged. 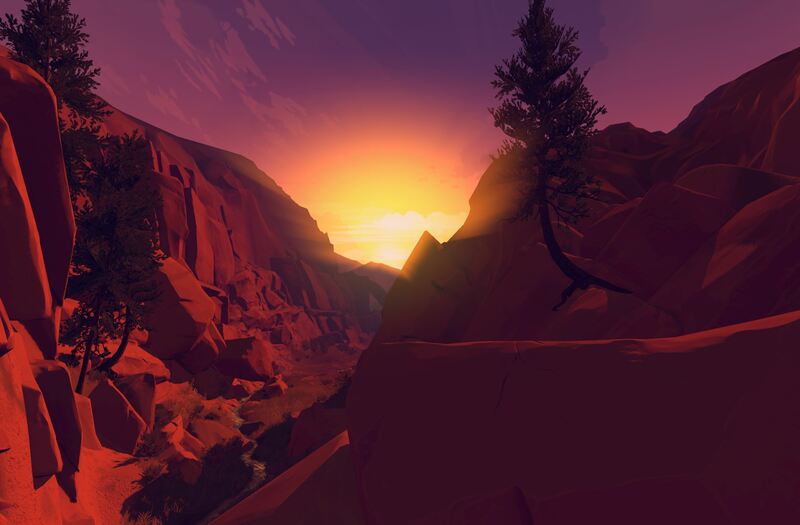 Firewatch is an indie adventure game by developer Campo Santo available on Steam and PS4. Yesterday I bought it and played through it in one four hour session. That’s not a very long playtime for a game which costs about 15€. But I am not disappointed. 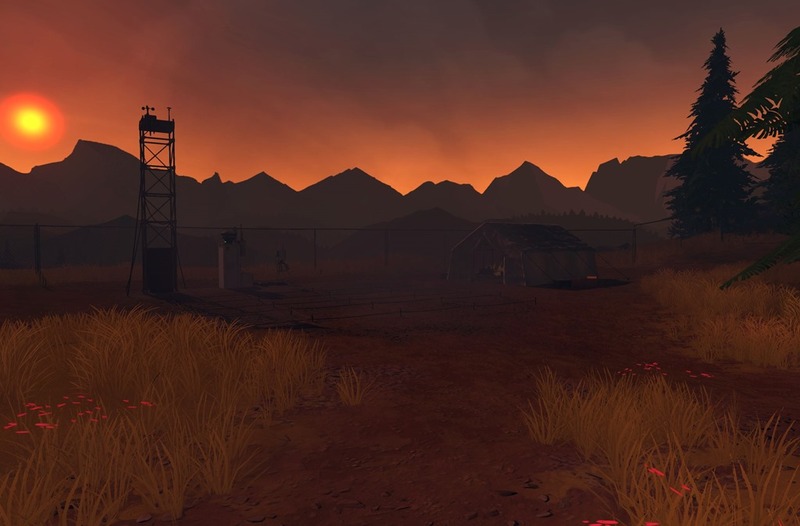 Firewatch is definitely one of the more impressive games I’ve played in recent weeks and I enjoyed these four hours tremendously. Gameplaywise Firewatch is mostly a walking simulator. There are no puzzles to speak of and no combat. But what really sets the game apart is the story and the voice-acting. You play the role of Henry, a volunteer firewatcher whose only contact is Delilah, his supervisor and fellow firewatcher who you can contact via radio only. When interacting with her you can usually choose from multiple answers and what you say influences the relationship between you and Delilah. From what I’ve gathered, Firewatch is pretty linear, BUT the relationship between you and your supervisor is unique and changes depending on your choices. The voice-acting is among the best I’ve encountered so far, even if compared to AAA titles. The graphics are not photo-realistic but reminded me of the style used by Telltale in their adventure games. 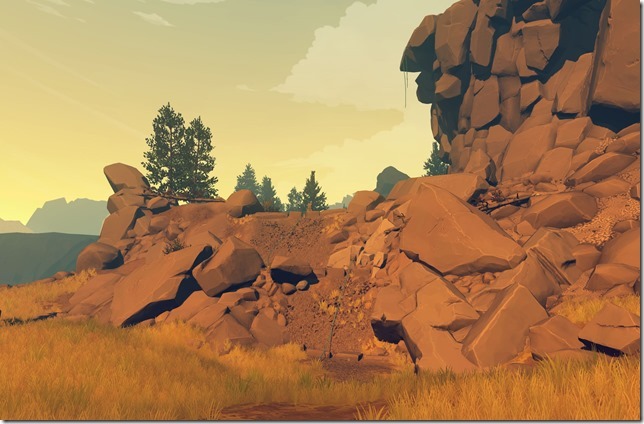 Overall Firewatch is definitely a good looking and awesome sounding game. But what really makes the game stand out is the fact that it tells a very personal story that’s exciting to the last minute. Even though it was way past 3 am, I just couldn’t stop playing. I wanted to know how things turn out in the end. I wholeheartedly recommend this game to you. If you are still unsure whether it’s for you, wait for a sale. But you should definitely play it. P.S. 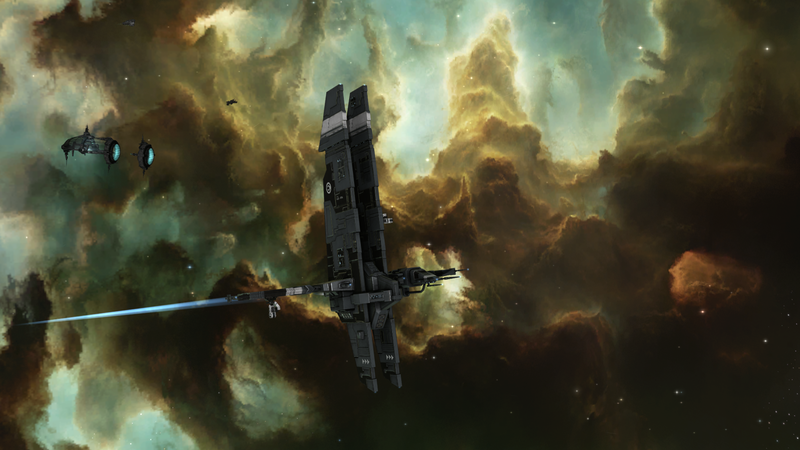 : The artwork in this post are photos taken ingame which you can actually get developed and sent to you. This is actually a pretty interesting offer and fits well to the 1980s vibe the games’ radiating. During last year’s various Winter sales I picked up a very exciting game – especially if you are interested in programming. It is called TIS-100 and was created by Zachtronics which is know for games like SpaceChem and Infiniminer. In TIS-100 you get to write Assembly code for a pretty weird machine you found on your uncle’s attic. The manual looks like a scanned copy of an instruction manual from the late 70s or early 80s. Basically TIS-100 is a puzzle game in which you solve the puzzles by coding Assembly, which is the closest thing you can get to actually write machine code. While the first few puzzles are pretty easy, the difficulty curve becomes increasingly steep later on. For me it was the perfect game to bask in nostalgia. Back in my university days I had one course in which we wrote Assembly code for microprocessors. It was definitely one of the more fun courses back then. 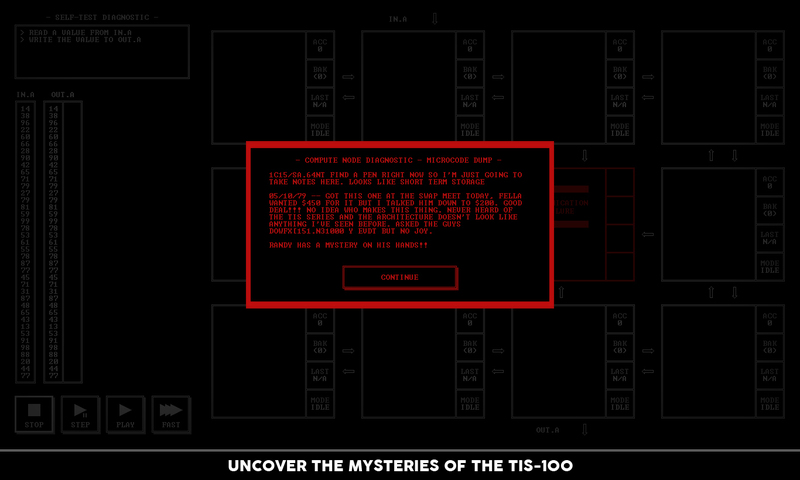 In TIS-100 you not only get to solve the increasingly hard puzzles and learn something about obscure computer architecture, you also get to uncover clues about what happened to your uncle. Detective work by code! If you’re into computers, retro games, perhaps even programming, you definitely should check the game out. I recommend getting it from GoG for €6.39 or your regional equivalent. 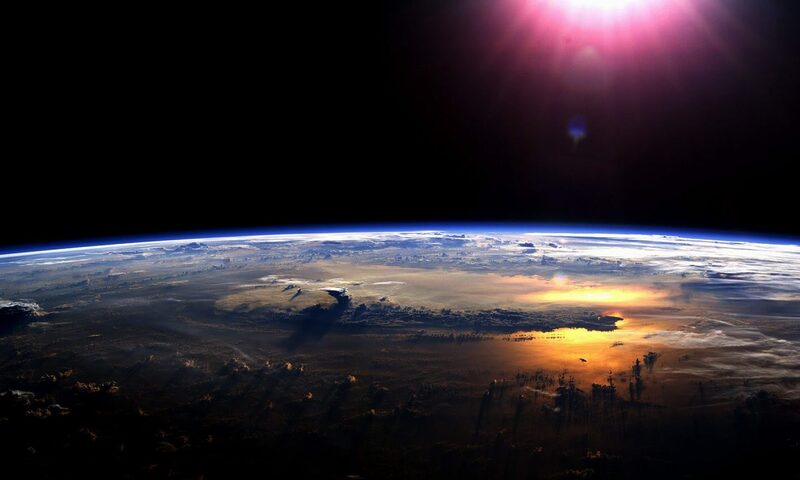 This post first appeared on my roleplaying game blog Stargazer’s World. At first let me wish all my readers all the best for 2016! In addition I hope 2016 will be better than the last years. Some of you might remember that I was signed off work in 2014 for about half a year and again I am suffering from depression since early November. I am slowly getting better but the fact that my grandma died on January 1st didn’t really help. Even though she was almost 84 years old and suffered from dementia, everyone was surprised and shocked about her sudden death. Luckily she didn’t have to suffer and had a long and fulfilling life. There’s a lot to do right now, especially since I will probably take responsibility for my grandma’s house. It’s the house I grew up and lived in for the last 30-something years. It’s a pretty big house (for a time four generations of my family lived under one roof) and there will be a lot to fix over the next years, but with the help of my girlfriend (and future wife) I think I’ll manage. Roleplaying-wise there’s not much new to talk about. We’re already in the middle of organizing our annual roleplaying convention in Limburg. Because of recent events and my health I probably won’t be as active as in previous years, but I hope I can at least run two session on the big day. On New Year’s Eve I first ran Mutant: Year Zero for a group of friends and even though I didn’t really learn the rules that well, things went pretty smoothly. We had a lot of fun and decided to expand the one-shot to a proper campaign. Luckily MY0 is almost prep-free and is prefectly suited for improvising. I really hope I can get back to posting more often and more regularly but it seems there will be a lot of real life in the way – at least in the first half of 2016. Let’s hope things will slow down after that. Recently I looked for a replacement for my current headphones which I am using on my OnePlus One. I mostly use a low-priced Sennheiser headset which has pretty good sound, but lacks a microphone and a remote control. While looking for alternatives I read about Amazon’s Premium Headset. I have bought Amazon-branded products before and usually the quality is great while the price is low, so I gave it a chance. The headphones remind me a lot of the current iPhone headphones. The shape of the earbuds is almost identical and they sound and fit great (at least for me). They don’t close the ear canal completely, so it’s a great alternative for people who don’t like in-ears. Of course the sound quality can not be compared to something like the Ultimate Ears TripleFi, but they are at least on par with my Sennheiser headphones (which were in the same price range as the Amazon ones). What I really like is that the lower part of the cord (below the remote control) is flat and doesn’t tangle when you carry the headphones in a pocket. 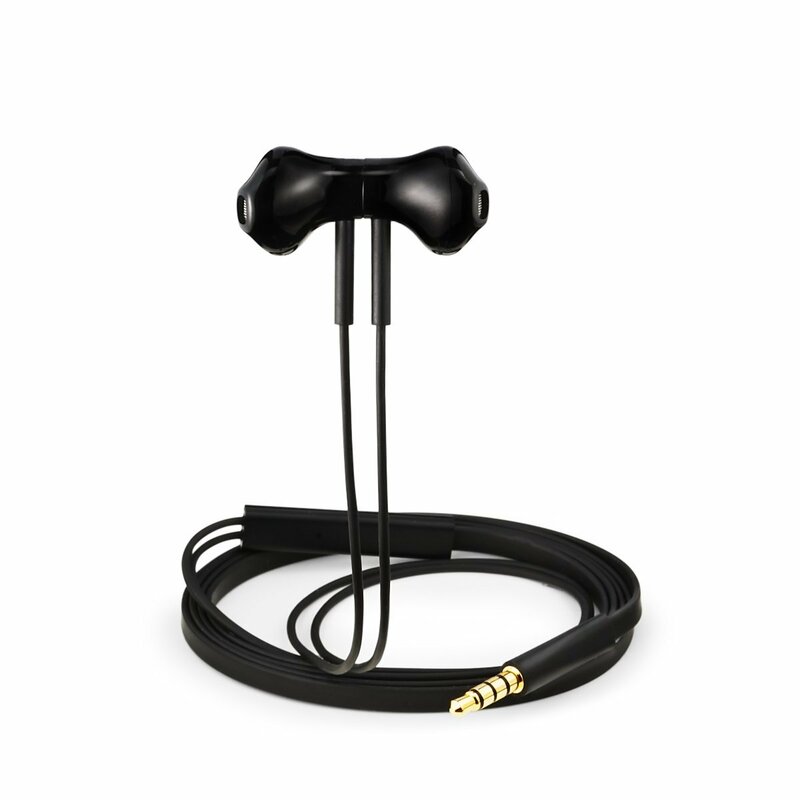 You can also attach the earbuds to each other magnetically, which helps to further reduce any tangling. The remote control has volume control and a button which allows you to pick up incoming calls or play/pause music. A double-press jumps to the next song on the playlist. It should work well with any Android phone, but I’ve read reviews that the remote doesn’t play well with Apple products. Since I don’t own any recent iPhones or iPads I can’t confirm this, but if you own an Apple product, you should do some further research. I haven’t been able to test the microphone yet, but from what I’ve read on the internet the quality should be fine. All things considered the Amazon Premium headphones are the best headphones you can buy in that price range. The cord is genius and is a welcome change from the tangled mess you usually have to deal with. Sound quality is great and the earbuds have a great fit. If you’re looking for some new headphones you should definitly check them out! Yesterday I started streaming to Twitch. I don’t have any big plans at the moment, it just sounded like a great way to allow my girlfriend to watch me playing some of the cool new indie games I’ve bought while she’s not at my place. Eventually I decided to archive the sessions and upload them to Youtube. At the moment there are two videos for you to enjoy: one of me playing Deep Dungeons of Doom, a pretty easy to learn but hard to master indie dungeon crawler and another video of me playing Bardbarian, another sweet indie game. I don’t have a set schedule yet and I doubt I’ll ever do some “serious” streaming, but if you’re interested in watching me play around in various games you should keep your eyes open at my YouTube channel and my Twitch page. Recently I started using the new Vivaldi browser as my standard browser. I know that the current version (Vivaldi is still in development) is not meant for productive use, but I wanted to know how well it actually works. And the only way to find out is to use it for a while. But before going into details let me share some background information first: Vivaldi is being developed by some former Opera devs. 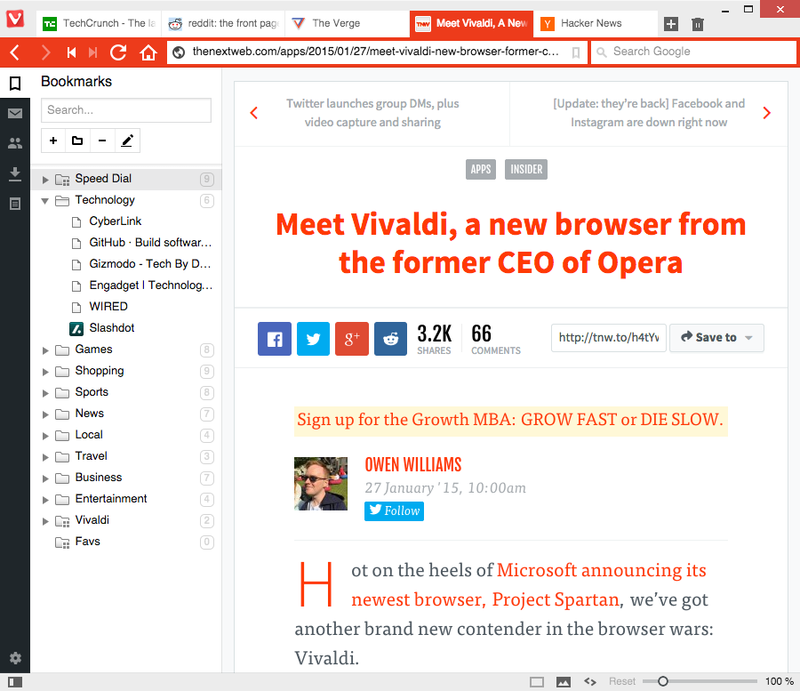 Vivaldi is based off Chromium but adds a couple of interesting features. For example you can stack tabs and even show two websites side by side in one browser window. You can take notes directly in the browser and later versions will feature a fully-fledged email client. Overall I am pretty happy with Vivaldi. It looks nice, works pretty well for an early version and since it’s compatible to Chrome extensions it might even replace Chrome (which I normally use) in the long run. Alas it’s not really ready for prime time at the moment. Sometimes sites fail to load completely, or browser tabs crash without any reason. I also have the impression that the current version of Vivaldi is even a worse memory hog than Chrome itself. But I think Vivaldi is a browser worth checking out.